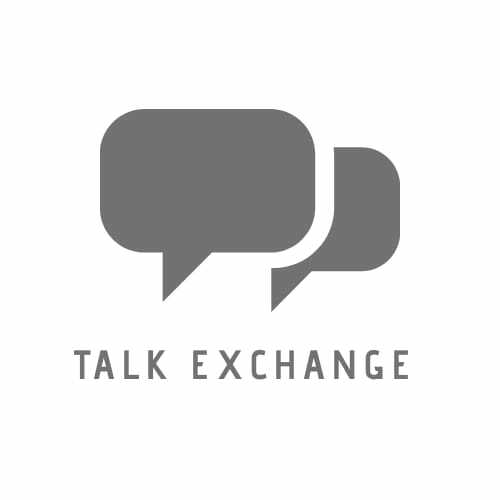 Unleash That Energy Hiding Inside You… – Talk Exchange..! Mind, the invisible driving force that controls the entire of human body. Yes, it is an unbelievable truth that this unseen power is the driving force of your reality. Your physical body is just a scientific invention but your mind is the ultimate energy which is responsible for each and every decision of yours. Metaphorically, your mind is air ; It cannot be seen but it’s visualized, It is not noticed but it’s absence can make you suffer. One decision of both air and mind can bring either peace to your life or destroy your entire world. Such powerful is that invisible part of you and you still trust the mirror for excellence! Unless your mind is ready to work, your body is paralysed. It is the mind that explains your existence. If your mind accepts you as a millionaire, your body is sure to build an empire. Convince your mind for a lavish lifestyle and your mind will convince your body to work hard, your brain to think more and your eyes to sacrifice sleep. The only cure for your paralysed body is your firm mind. Your mind demands the entire of you and in return changes your dreams into reality. During the process, your mind will definitely make you act crazy but remember that Success is made up of Madness. Mind understands the language of success only because being successful is its only job. The more you control your mind the more you control your life. This incredible energy called mind is within you. It’s just that you have been confusing yourself by considering your brain to be your mind all this time. Understand! Brain helps you to think but mind helps you to decide. Your brain thoughts are temporary but once the thoughts enter your mind they become permanent and that is exactly why it is said that What You Think Is What You Become. This energy of mind is the dynamic secret behind success and story of every individual. So, what are you waiting for? Now that you have known the real driving force of success- Mind, unleash the energy hiding inside you! Thank you so much.. Touching someone’s life means a lot to me. Thank you so much.. Your compliments inspire me to write more..
Oh.. Thank you so much.. Your words motivate me to look beyond the horizon. Keep on writting … Good post . The comparison of air and mind is fab ..! I will be publishing my next post tonight which is a further extension of the same. Do go through it for understanding your mind more accurately. The thing is your mom is the frnd of my mom since their school life ….my mom told me to go through your blog . Oh wow. That is really amazing. So glad to hear that. Do you write a blog too? Yah.. Thats my first lesson!.. Never revel your ph no on a comment.. Thanks for that.! Actually I’ll contact you as and when free. I’ve got your mail address as you’ve followed me. Is that ok with you? The comparison of the air with the mind was fab ..!!! Thats a Great story. Keep on writting. Your writings are like pure water flowing in the river . Keep it up!!! Hey Neha! Lovely to hear from you that you’ve taken a step towards knowing yourself more and granting people around you about your thoughts Nd belief as well! This is Amazing..Put more of these. I hope you get more into these positive worthy stuff..Keep going! Thank you so much Seminar Partner..
Whoaaaa.. Insanely nice.. I was not at all expecting something like this.. Too good! I guess you are really much sorted with your mind and thoughts. Keep it up ! I would love to read more..
You write really well, Neha! But there’s always scope to make your work better! Wishing you the best, beautiful! Yes Srijan.. I totally agree.. It can never be perfect.. There is always something to improve.. Thank you very much Srijan. NextThe Lesson From The Fake.